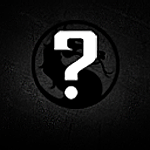 If you have a Mortal Kombat fansite and would like to become an affiliate with FDMK, please send an email to webmaster@fdmk.net. In the email, be sure to include a link to your website. Please understand that sending a request does not guarantee affiliation.